Our 100% Organic Beeswax Candles are great for cleaning the air when your family is sick but also gives off a pleasant aroma of honey. Beeswax candles give off negative ions that remove dust, dirt, odors, viruses, mold, and other pollutants from the air. 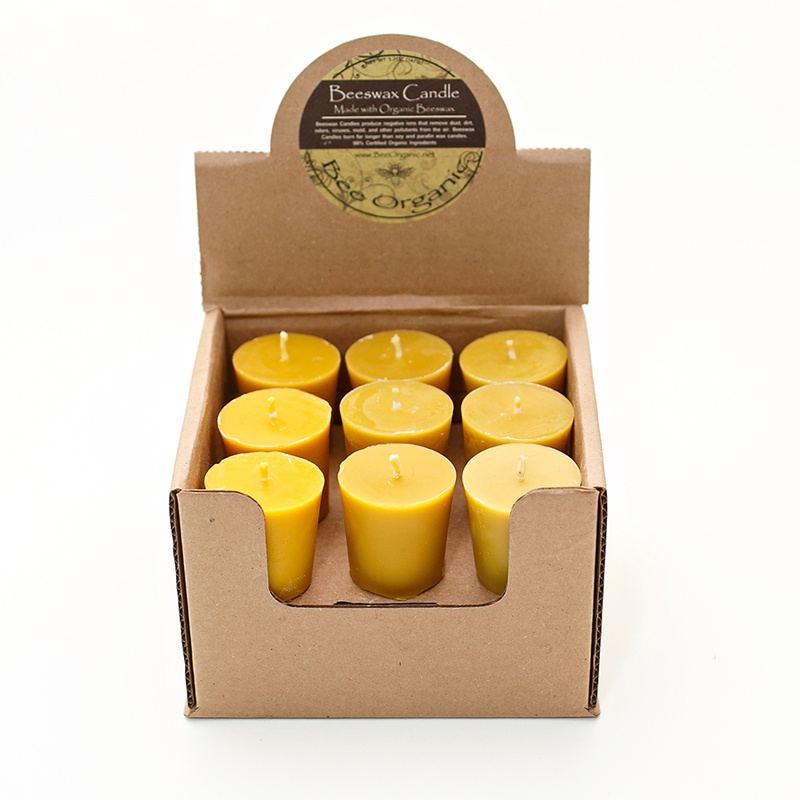 Beeswax candles are great for asthmatics or anyone who is allergic or sensitive to scents. They are Non carcinogenic and Nontoxic and they don’t give off soot like other candles do. Beeswax is the only wax that exists in nature. Which means there are no processing chemicals in beeswax. Beeswax candles have a high melting point which means they have a much longer burning time than conventional wax candles. Note: Burn these candles on a protected surface and remove the label. Beeswax burns drip-less however these votives could drip if there is a draft in the room.